Starting from automation, process & cost optimization, improving customer service, and providing wide spread business scalability, technology has helped businesses in numerous ways. The brick and mortar retail landscape has been gradually evolving for a while now. The steep evolution in the e-commerce channel has changed the shopper dynamics, and retailers are adapting to the evolved landscape at their own pace. Right from hyper-local delivery, improving in-store shopper experience, connecting stores to minimize lost sales due to missing size, smart sales prediction techniques to minimize stock outs and much more. The retail landscape is diverse and deep – thus thereare many touch points where technology could and is enabling retail business. It’s not a surprising fact that Uber is valued at 69bn USD today. Obviously, its not because they make lot of money on cab rides. It’s because they know where you are, they know where you want to go, they know how often you go there. They know your home, they know where you shop, they know where you party, they know where you work – the definitions of privacy are evolving and as users seek more convenience, they are accepting and adapting to the newer norms. Keeping the “creepy” perspective on the backburner for a while, this information is and would be used to create splendid user experience. The shopper behavioral & lifestyle landscape is shifting, user expectations are high. Gone those days when personalized, relevant content was exclusivity, it’s basic hygiene now. In the world of “cognitive computing” innovators are continuously working on drawing more parallels to extract newer algorithms in an attempt to be more relevant to the new age shopper. Cognitive computing involves self-learning systems that use data mining, and pattern recognition to create automated IT systems. The shoe you looked up, but didn't buy on an e-commerce website follows you across the world wide web - this is called re-targeting. It improves your conversion over 26% and is a must for an e-commerce business. 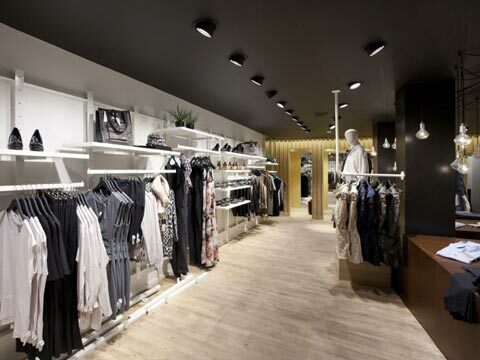 Shopholix pioneers in enabling brick and mortar stores to re-target. The social media, google, e-commerce portals along with traditional advertising mediums have strong influencing capabilities. They need to be synced with effective re-targeting for improved results. Targeted content & collection driven push notifications, emails and extended FB ads keeping your brand top of mind. Targeted push notification based on user location - upon entry inside mall, upon entry inside store, upon entry inside airport, entry at a key event in town etc. Automated, birthday, anniversary exclusive communication - Personalized, delivering strong brand connect. Window shop feature on Shopholix user interface enables strong intent based re-targeting. User looking for shoes within a particular location receives an automated shoe collection update from your store nearby. Unlike premium retailing, luxury retailers emphasize and rely a lot on one-on-one shop floor interactions with their shoppers. A luxury retail brand CEO specified how a change in manager leads to over 30% impact in sales - concluding the importance of service orientation of the floor operations. Shopholix Shopper Check-in Alerts empowers the floor associates to have shopper profiling, style preferences, and intent predictions. Shopholix has redefined the couponing landscape. The traditional paper couponing & e-couponing processes deliver upto 2.5% of in-store conversion, Shopholix mCouponing packed with smart re-targeting and profiling ensures a delivery of over 25%. The current CRM landscape in retail marketing is mostly reactive. Shopholix transforms the traditional loyalty point system to a proactive marketing strategy.Giving an access to shoppers by integrating with Shopholix wallet, it empowers the shopper at the end of the day.Shopholixseamless product integrations with various contextual services provider enables brick & mortar retailers to extend 360 degree benefits to shoppers, like cab rides, movie tickets, food vouchers, salon services etc. Currently the Indian fashion and lifestyle retail is at 116bn USD per annum, less than 20% of total retail at 650bn USD per annum. As per a forecast, over 50,000 new brick and mortar stores would open by 2020, out of which over 20,000 would be fashion and lifestyle. The growth in new stores, consolidation in existing base, growing lifestyle habits, are going to take the total fashion & lifestyle category to 230bn USD per annum by 2020. Forrester research, Facebook & BCG joint study, and Statista studies have been talking about the impact of internet on brick and mortar sales. In particular for fashion and lifestyle category over 75% of sales would be digitally influenced summing upto 170bn USD by 2020. Shopholix started its journey of enabling brick and mortar stores in October, 2015. Currently consolidating their process and flows with select leading retailers Shopholix would reach 1000 stores by the end of 2018 and 5000 stores by 2020 - enabling brick & mortar sales of over 15bn USD.